Archive of the BAM club magazine. 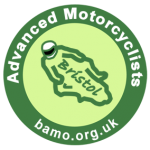 Chain Link is the Bristol Advanced Motorcyclists quarterly magazine. 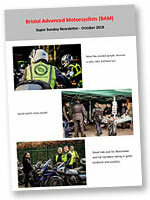 Printed copies are available at our Super Sunday events, monthly social and can also be found in the local motorcycle dealerships. To download PDF files right-click over link and use the ‘Save link as…’ option. Chain Link | Issue 61 | Nov 2018-Jan 2019 – BAM club magazine. Chain Link | Issue 60 | July-Oct 2018 – BAM club magazine. Chain Link | Issue 59 | April-June 2018 – BAM club magazine. Chain Link | Issue 58 | Feb-Mar 2018 – BAM club magazine. Chain Link | Issue 57 | Nov-Dec 2017 – BAM club magazine. Chain Link | Issue 56 | Aug-Oct 2017 – BAM club magazine. Chain Link | Issue 55 | May-July 2017 – BAM club magazine. Chain Link | Issue 54 | Feb-Apr 2017 – BAM club magazine.